La Roche Posay: Ah, any beautynista (is that a word?) probably has tried or wanted to try the Serozinc spray, and now that its available at Boots for only £8.50, I don't know why you wouldn't. There's also the Effaclar range which is a staple for many people who have problem with blemishes, and Cicaplast for soothing and repairing. I find the packaging and presentation of this brand really soothing, something about it makes me feel reassured that I'm buying excellent quality products even if I'm not paying out of the nose for it. Out of all the French pharmacy brands that have made it here, this is by far my favourite. Bravo to Boots for making this brand so readily available to us in the UK now. Bioderma: Although this is my least favourite of the French Pharmacy brands, it's still a pretty reliable one and now that it's stocked in Boots, really accessible. You've probably owned at least one bottle of their Micellar Water, no? I'm currently trying out the Hydrabio range (fighting that dehydration, you know the drill) so I'll report back to you on that. The Body Shop: Old reliable in the UK, I can't help but put them in this list. They have staple ranges which cover off a lot of skincare complaints, and in recent years they've really been upping their game even more. The Vitamin E serum is on my list, and only at £15. ; I need to try the Drops of Youth sleeping mask, and the newly released Vitamin C range has my name all over it. Kiko: Although I've only just started using Kiko products recently, I have to say I've been really impressed by the value for money they offer, and the fact that their skincare range is by no means small. I may be less than happy with the state of fragrance in their serum that I got recently, but I've read some good things about the Skin Trainer range, and it's not often you can find serums that are less than £25, so I'm very intrigued. Bravura London: this is a brand that I heard of about two years ago and then promptly forgot about until recently. I'm going to do a full post of two of their products I bought recently, but just so you have an idea of their price range, they do chemical exfoliators and toners for £10! Bargain. 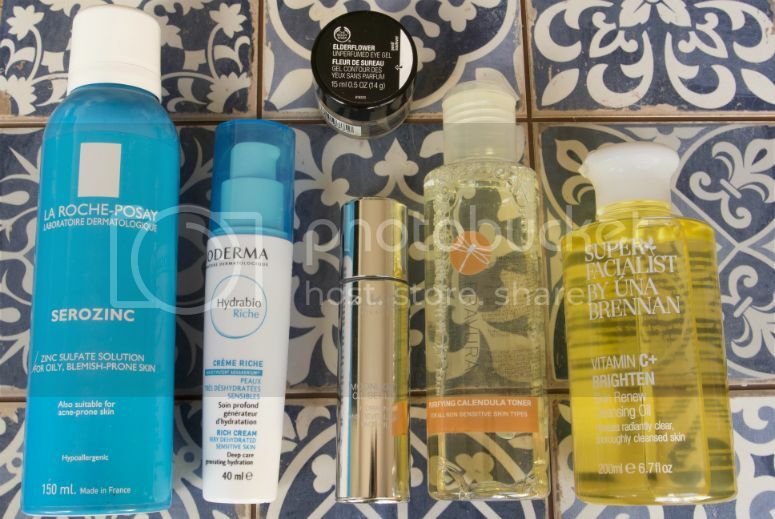 Superfacialist by Una Brennan: No budget skincare list would be complete without this brand. This was the first skincare brand I ever bought into when my interest in beauty and skincare started, and though I've gone off to try other brands, I'll always happily go back and try some other stuff out, especially since the range has been expanded significantly from its beginnings. A full post on the goodies I got for my re-introduction to the brand will be up soon. I've heard a lot of good things about the L'Oreal skincare range, but don't really have any experience of their products, or other budget skincare brands and products. Any pointers to some good skincare brands and products would be really appreciated, so please point me to them if you can! Completely in love with Una Brennan at the moment! Thanks for the tips! I have bought a few duds recently when looking for new winter skincare so wanting to try out few cheaper options. I usually splurge on my skincare, I think that this si the one point I dont want to save and maybe compromise quality. But many of the mentioned brands make amazing quality products. I tend to as well, but sometimes I think think the really expensive brands charge a bit too much for some products, so it's always nice to be able to save money sometimes!